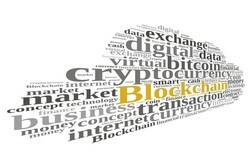 SecuringIndustry.com - Blockchain verification "ready to take centre stage"
The blockchain technology underlying controversial digital currency Bitcoin is poised for new uses, which could include anti-counterfeit applications. Blockchain is a constantly-growing, publicly-accessible 'ledger' that records transactions in a tamper- and revision-proof way that is public to all, notes Goldman Sachs in a recent report. It was initially developed to validate the transfer of Bitcoin funds, using an encrypted algorithm to verify authenticity across a disorganised network rather than a centralised institution such as a bank. While Bitcoin remains controversial thanks to its links with shady operations such as the Silk Road marketplace on the dark web, the underlying blockchain technology could be the "golden egg" that lives outside the Bitcoin world. According to the report, blockchain looks set become a widely-used verification technology for just about any form of digital transaction - from votes in elections and stock trades to communications between networked devices. This could include recording the movement of goods through the supply chain and their authentication, an approach which is already being explored by companies such as Blockverify and Chronicled to create platforms for registering authentic items and thereby combat counterfeiting. For example, companies can assign every manufactured item with a unique identification number - using a QR code for example - with blockchain technology used to determine whether an item bearing the ID is genuine or fake. As the blockchain database is publicly accessible, the process is completely transparent and potentially anyone can carry out verifications. Block Verify has completed the first stage of a pilot programme to test its system on pharmaceuticals produced by an unnamed Swiss manufacturer, while Chronicled has developed a platform to authenticate high-end sneakers. The technology has a number of compelling features, according to Goldman Sachs, including that "a distributed shared ledger has the potential to make interactions quicker, less-expensive and safer." "By removing the need for a middle man one lowers potential security concerns from hacking to corruption as well as speeding up manual processes that are antiquated and can take too long," it continues. "Your counterparty risk, if processing times improve, can be near instantaneous, allowing accurate, in real-time, feedback on risks and exposures."